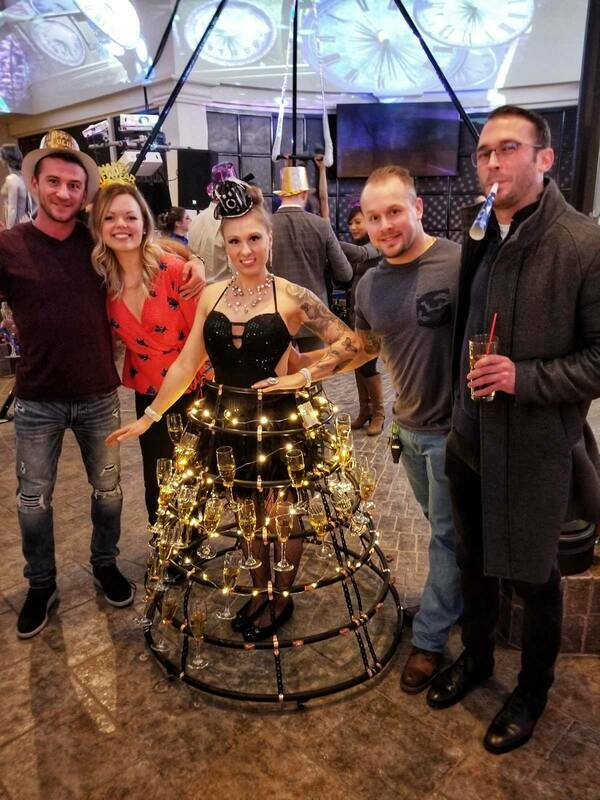 Performers walk around wearing our custom made "bar service skirts" to serve your guests. Each skirt can hold up to 50 champagne flutes (or wine glasses). What they wear under the service skirt is up to you and can fit any theme! 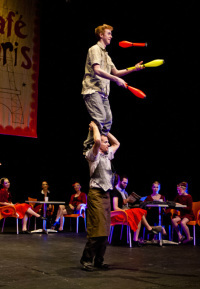 Partner acrobatics, using counterweight, balances, lifts and dance movements. An acrobatic art that involves a performer bending their body into hyper-flexible, extraordinary positions. This skill can be combined with hand or head balancing as well as hula hooping and dance. Above photo by AlterEgo Photography by Brent McCombs. Partner acrobatics, using counterweight, balances, lifts and strength movements. Circular plastic hoops approximately 80cm in diameter, used to twirl around different parts of the body. Performers can manipulate one or multiple hoops at the same time. A duo act that includes circular plastic hoops approximately 80cm in diameter, used to twirl around different parts of the body (performers can manipulate one or multiple hoops at the same time) in combination with Partner acrobatics, using counterweight, balances, lifts and dance movements. Circular LED plastic hoops approximately 80cm in diameter, used to twirl around different parts of the body. Performers can manipulate one or multiple hoops at the same time. Poi refers to both a style of performing art. As a performance art, poi involves swinging tethered weights through a variety of rhythmical and geometric patterns. Poi artists may also sing or dance while swinging their poi. Poi can be made from various materials with different handles, weights, and effects (such as fire). Above photo by Stoo Metz. Timber or metal apparatus that is attached below the knee which the artist walks and performs tricks on. Stilts come in different heights and can be up to several meters high. Watch our talented bellydancers display amazing skills while dancing with real swords. Exciting and mesmerizing, the dancers balance the swords on different areas of the body while they dance. This balancing act is always a big crowd pleaser!